Enjoy the benefits of a direct sales membership by sharing thing you like. Why Should I Sell Watkins Products? That’s a great question! If you are asking this question it’s possible that you are looking at several different opportunities, or you are wondering just how you will benefit from being a Watkins Consultant? If that’s the case, congratulations, it’s smart to do your research before you join a direct sales company so that you can find the one that will be a good fit for you. Exceptional quality products that you can share with pride? Products that carry a 100% money back satisfaction guarantee, backed by the company? Products that people need and use every day? Brand name products that thousands of people are searching? Consumable products that people will use and need to replace? Products that you can buy at a discount for your own personal use. Products that do not restrict you to one marketing strategy, so you can choose the methods that fit your personality, lifestyle, and goals? Products that allow you to earn immediate income as well as achievement bonuses, and/or residual income? With Watkins, you can enjoy all of these benefits plus a whole lot more. 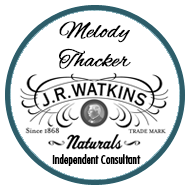 Watkins is a company that’s well known for it’s commitment and attention to manufacturing the highest quality natural products as well as it’s honesty and business integrity. A company that you can be proud to associate yourself with. Since Watkins products are consumable you can expect repeat sales from your customers. When you join Watkins you have the opportunity to build a real business that fit’s your lifestyle if that’s what you want. 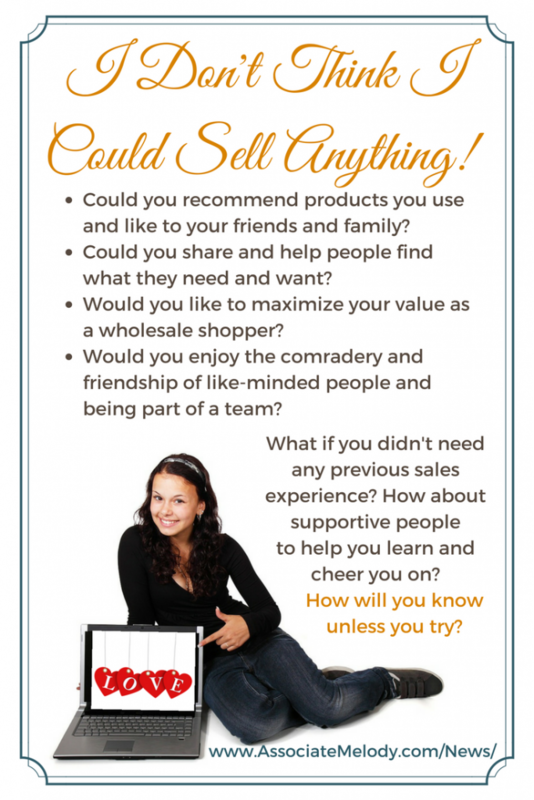 You can also join us to maximize your value as a wholesale shopper with no pressure to ever sell the products. You will have the flexibility and freedom to work with Watkins however you want. One of the things many women enjoy the most is being part of a team, the comradery and friendships they form with other like-minded women. I Don’t Want To Sell Anything or I Don’t Think I Could Sell Anything! Maybe you don’t want to sell anything because you don’t believe you can sell something or you don’t have any experience selling? The great thing about Watkins is that it’s not a high-pressure sales business. It’s more about sharing, helping people find what they need and recommending products. Here’s something to think about. I’m sure that you’ve told someone about a product or service that you liked, we all recommend things we like to our friends and family and tell others about a company when we enjoy great service! Well with Watkins it’s pretty much the same thing. You don’t need any previous sales experience and we will help you learn as you earn. Many of our Consultants felt the same way including myself, but we took a chance, joined and have been pleasantly surprised to discover that any worries we had about selling were unfounded. What About Opportunities Where You Never Have to Sell Anything? Now, I’ll be honest I’m no expert on these other companies but someone has to be buying something in order for you to make a profit. Right? Will you and the people you sponsor be locked into an auto-ship program, buying products each month that you might not need, want or be able to afford? How long will it be before people give it up? 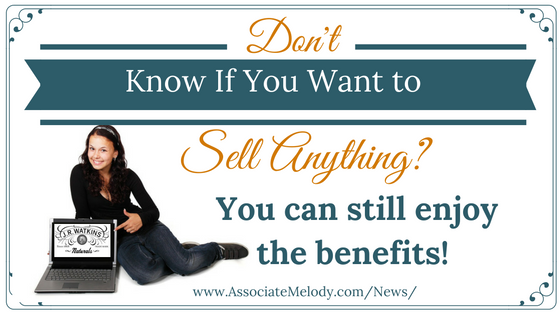 Common sense will tell you, you’ll need to “sell” something, like their opportunity to make money. We believe a balance of sponsoring and selling is the best business model. Imagine rowing a boat with only one oar! How far would you get? Call me toll-free at 1-866-452-6948 I’ll be happy to talk with you and answer any questions you have. You’ll find the answers to other frequently asked Watkins business questions here, or request a catalog and information package.